Pedro Hallal is the President of the Federal University of Pelotas, Brazil. 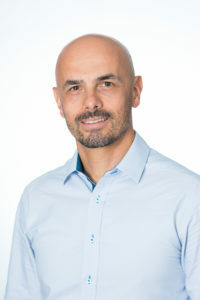 His research focuses on physical activity and health, with five interrelated themes: (a) physical activity levels, trends and measurement; (b) determinants of physical activity; (c) healh consequences of physical activity ; (d) physical activity interventions; (e) global action for physical activity promotion. Pedro has published over 400 peer-reviewed articles, which were cited over 40,000 times, leading to a Google Scholar H-Index of 82. He was the leader of the Lancet Physical Activity Series published in 2012 and 2016. Frank A.J.L. Scheer, PhD is an Associate Professor of Medicine at Harvard Medical School (HMS) and the Director of the Medical Chronobiology Program at Brigham and Women’s Hospital (BWH), Boston. Dr. Scheer’s work focuses on influences of the endogenous circadian system and its disruption—such as with shift work—on cardiovascular, pulmonary, and metabolic regulation and disease states, such as hypertension, asthma, obesity and diabetes. Since 2005, Dr. Scheer has been funded continuously as Principal Investigator by the National Institutes of Health (NIH). Dr. Scheer has received numerous scientific awards, including the Young Investigator Award by the American Academy of Sleep Medicine, the Neal Miller Award by the Academy of Behavioral Medicine Research, and the Outstanding Scientific Achievement Award by the Sleep Research Society. He is an Editorial Board Member of several peer-reviewed journals, including the American Journal of Cardiovascular Disease, the Neurobiology of Sleep and Circadian Rhythms, and Journal of Biological Rhythms. 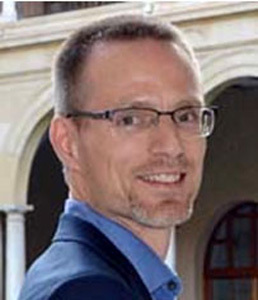 Dr. Scheer is a Board Member of the European Society of Biological Rhythms and Member of the Program Committee of the Associated Professional Sleep Societies. Prof. Taija Finni completed her doctorate in biomechanics at the University of Jyväskylä in 2001 and post-doctoral studies at the University of California. Prof Finni’s research ranges from basic neuromuscular function to translational research related to physical activity and sedentary behavior. Regarding physical activity field she has studied daily EMG activity patterns in antigravity muscles that have the potential to short-circuit the detrimental physiological processes of sedentary time and result in better cardio-metabolic risk profile. By measuring EMG from adults and children her group has gained accurate individual-level knowledge of the sedentary behaviour that is needed for designing effective interventions for different groups. Another research line focusing on muscle-tendon neuromechanics has provided fundamental information on tendon properties and muscle-tendon function for exercise training, rehabilitation and insight into age-related changes in mobility and neuromuscular performance. She has over 80 peer-reviewed publications and has supervised 9 PhD students to completion and has 6 PhD students currently under supervision. 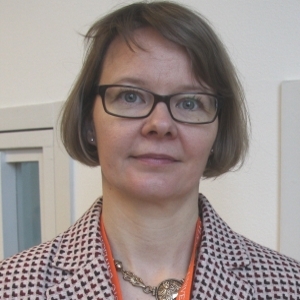 She serves as a senior section editor in Scandinavian Journal of Medicine and Science in Sports and is a member of editorial board in Clinical Biomechanics. She is an elected council member of the International Society of Biomechanics and a member of scientific committee of the European College of Sport Sciences. Emmanuel Stamatakis is a Professor of physical activity, lifestyle, and population health at the University of Sydney. He completed a PhD on objectively assessed physical activity and clinical childhood obesity at the University of Bristol. Between 2003 and 2013 he was based at University College London where he led the development and implementation of physical activity measures in the Health Survey for England and other large-scale nationwide surveillance studies. Emmanuel’s work has received numerous research awards and he has published over 220 peer papers in in leading epidemiology, exercise medicine, and medical journals including BMJ, Int J Epidemiol, JAMA Intern Med, Annals Intern Med, and J Am Coll Cardiology. He is the Deputy Editor of the British Journal of Sports Medicine responsible for the physical activity and epidemiology sections. In 2017 Emmanuel initiated and is currently leading the development of the Prospective Physical Activity, Sitting, and Sleep consortium (ProPASS). Emmanuel is the proud owner of two rescued Hungarian mongrels who are often his counsellors and lifestyle coaches. Professor Lorenzo Chiari, Professor of Biomedical Engineering, Department of Electrical, Electronic and Information Engineering (DEI) and Director, Health Sciences and Technologies Interdepartment Centre for Industrial Research, University of Bologna, Italy. 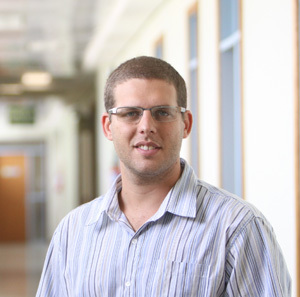 Lorenzo is a leading researcher and conducts his research in the field of biomedical engineering. His research interests are directed in particular to rehabilitation technologies, active and healthy ageing, functional evaluation of movement and the risk of falling with wearable sensors, neurobiomechanics of posture and movement, in physiological and pathological conditions. Lorenzo is leading member of eHealth thematic groups of the University of Bologna and has been the principal investigator on EU funded projects on ICT for ageing and wellbeing, and personalized and at-home rehabilitation of people with Parkinson’s Disease. Roy Raymann, PhD is Vice President, Sleep Science and Scientific Affairs at SleepScore Labs. He is a passionate researcher (PhD) and a product driven thought leader in the field of sleep. As a leading researcher in the field of sleep science, Dr. Raymann spent more than a decade in academia studying sleep at the Netherlands Institute for Neurosciences, before joining the private sector. His recent experience includes leading the sleep related health efforts at Apple (Night Shift, Bedtime, Health- & Research- Kit) and serving as a Sleep Thought Leader of the consumer sleep division at Philips Research where he founded the Sleep Experience Lab. 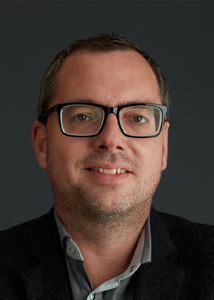 Dr. Raymann holds a PhD in Life Sciences from Vrije University Amsterdam and was recognized in the Netherlands with an award of Best PhD Thesis in Sleep Medicine. His research and post-doctoral work spans almost 25 years and encompasses multiple publications in peer-reviewed journals, book chapters, speaking events and patents. 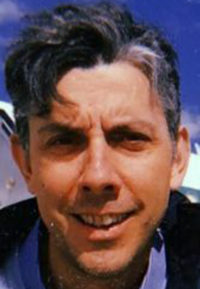 In addition, Dr. Raymann serves as an ad hoc reviewer for several sleep journals, including SLEEP and Journal of Sleep Research and was editor of the Dutch Sleep Annuals. Since 2018 he serves the Consumer Technology Association Workgroup on Sleep Tracking Consumer Technology Devices, defining the standards for consumer sleep technologies. At SleepScore Labs he is heading the collaborations with industry, academia and clinics, heading the research, data analytics and sleep wellness program, leading the scientific advisory board and oversees the scientific rigor of the SleepScore Brand.